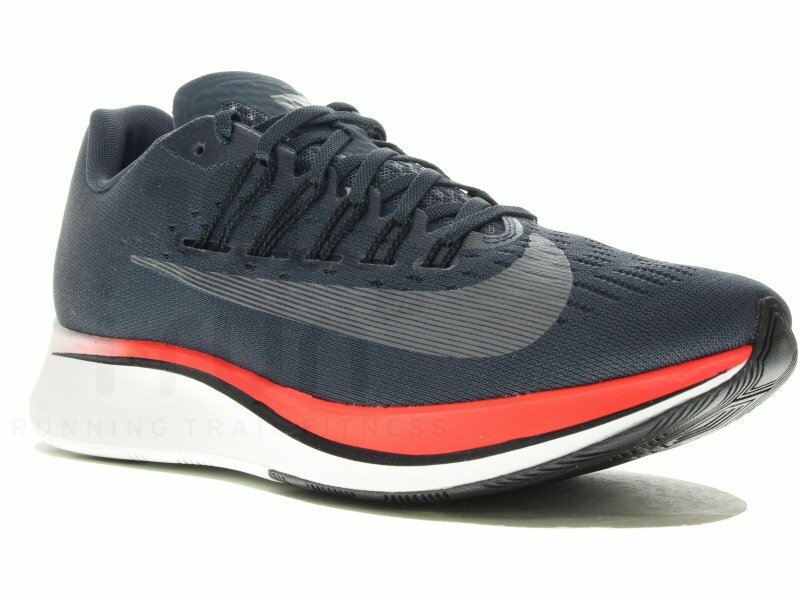 The Nike Zoom Fly running shoe is made to fulfill the demands of even the toughest tempo and long runs, such as marathons. They’re designed for serious competition, ranking high among the best Nike running shoes. Wear them on race day and take advantage of the responsive construction that will turn the pressure of every step into additional energy for the next one. This one is truly a fast and efficient performer that impressed us during our Nike Zoom Fly reviews. As it is made for performance and not the looks, the color options are secondary and somewhat limited. If you’re looking for a flashier model, get it in red. 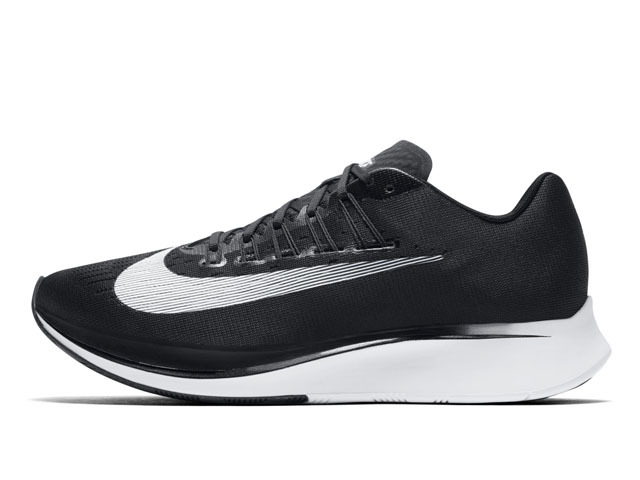 Its thicker-than-average heel might seem unappealing to some so, in that case, we suggest getting the Zoom Fly black model. 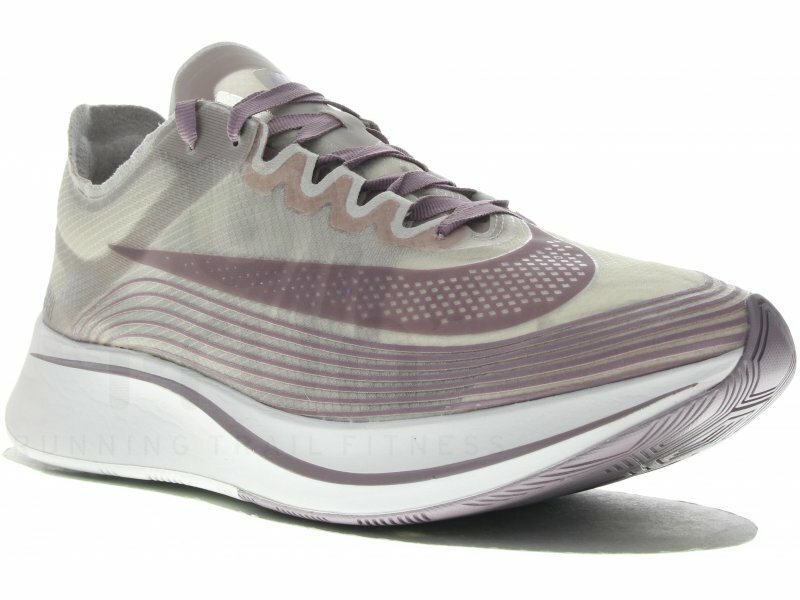 Again, the designs you can choose from are rather subdued; however, the Zoom Fly SP features numerous limited series versions. 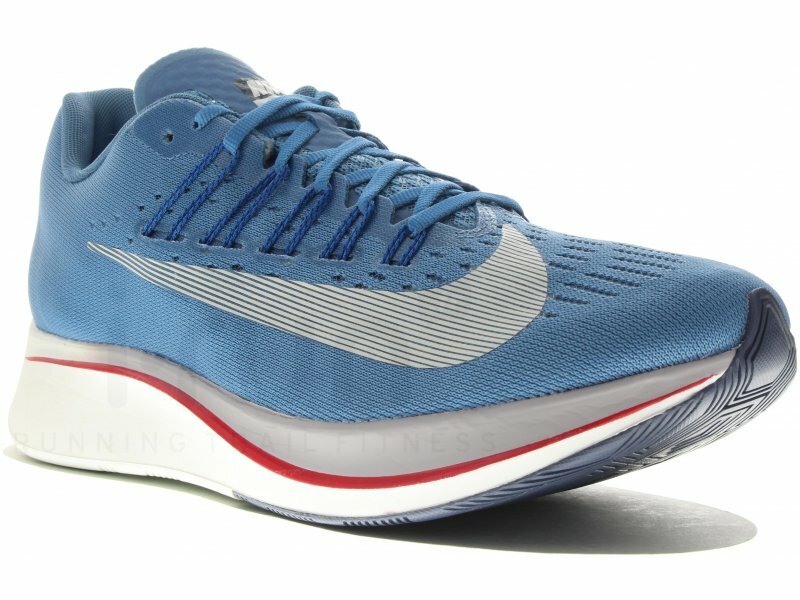 If you’ve missed out on the Nike Zoom Fly 4% (Vaporfly), you should really check out the Zoom Fly. Featuring the nearly identical carbon-infused nylon plate, it will give you an incredibly propulsive feeling with every stride. This optimum cushioning, as well as the lightweight sock-like fit of the shoe, can greatly improve your efficiency. It’s exceptionally well-constructed and resistant to abrasion, even after miles and miles of use. All of this makes it a top choice for marathon contenders, many of whom completed races in them with no leg fatigue afterward. Keep in mind that since this model is rather clunky, its weight increases considerably with every next size. Therefore, the larger men’s sizes are quite heavier than the smallest Nike Zoom Fly women’s size. They are pretty light overall though, so this should not concern you much. Since we’ve reached the part of our review where we typically complain, let’s point out that the toe-box of this model is a bit too roomy. Also, rocks tend to get into the grooves of the Zoom Fly outsole a little more frequently than we’d like. There were some durability issues in other reviews, but we can’t really say this was the case with our Nike Zoom Fly men’s model. As great as they are, we can’t help but wonder if this model is a bit overpriced. Even so, it is undoubtedly money well spent. While they’re worth every dollar, you can redeem one of the many Nike promo codes at the manufacturer’s website, or buy these running shoes at a reduced price at other retailers. For instance, you could redeem a WSS coupon that promises grand savings. All in all, the Nike Zoom Fly can push you over the finish line and help you emerge victoriously. Perhaps an overstatement, but we truly believe they’re that good.